Why Haven’t the DREAMers Applied for Citizenship? RUSH: Patricia in Canton, Ohio. Great to have you. I’m glad you waited. Hi. CALLER: Hi, Rush. Hey, it’s definitely a pleasure and absolutely a weekend perk to speak to you. CALLER: Here’s one thing, just a comment I had. I have two things, just a comment. For Jerry Brown, ’cause he likes to bring in all these illegals and leave ’em here in sanctuary cities, I think if we have to let ’em in, that we should hand them all a family tent and drive them to Jerry Brown’s house and help them pitch that tent and get situated there and then he can go from there. RUSH: You know, it’s a good point because Jerry Brown and the rest of these people never, ever — they don’t live where these people end up. CALLER: No. None of them. RUSH: They’re not subject to the problems that are caused by all of this. That’s a good point. It’s a good way of illustrating it. CALLER: And another thing, the DACAs. Okay, so they supposedly have been here 20, 25 years. My question is, you’ve been here that long, you think it’s great to live here, why the heck haven’t you applied for citizenship? I think I know the answer to that, but I wanted to find out from the rational truthsayer one, you. 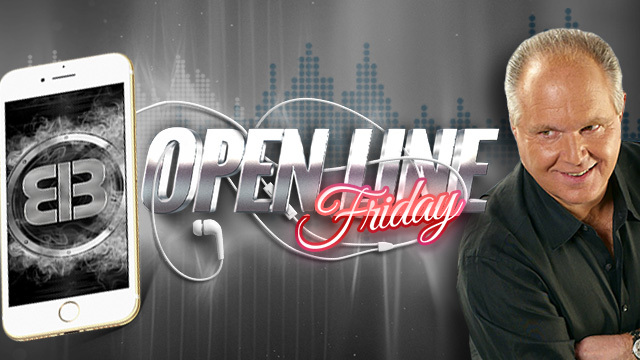 RUSH: Well — no, no, no — Open Line Friday doesn’t work that way. You tell me what you think. CALLER: Here’s what I think. They’re getting everything free, what they need and what they want doesn’t cost them anything, oh, maybe it costs them a pittance and they also get a promise every year from the Dems that they’re gonna make them legal. That’s my take on it. RUSH: Well, clearly there must be some incentive not to seek citizenship, or there must be some reason that they think would redound negatively to them if they did. It’s a good question. The greater question is, why aren’t they being urged toward citizenship by the people sponsoring them, which would be the Democrats as well. And the answers are probably multifaceted. But we’ll tackle it.